Changjia Ge graduated from Brown University with a MS Degree and his bachelor degree was in Mechanical Engineering from China. 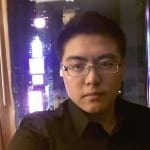 Since 2014, Changjia has dedicated in general aviation industry and started his own business Chancellor Global LLC in Los Angeles in 2015, focusing on light sport aircraft import & export, maintenance, electric aircraft research & manufacturing, and aviation related technology transfer. He met the founder of Topcub Aircraft LLC, Mr. Zhijun Qian, in 2015 and was fascinated by Mr. Qian’s passion and the huge opportunity in China. So Changjia joined Topcub Aircraft in 2016 and is responsible for the North America business. The company purchased the Type Certificate of CC18-180 issued by FAA from Cubcrafters Inc, and mainly manufactures Topcub Aircraft which is a certified aircraft regulated by FAR Part 23. The parent company is Liaoning Cub Aircraft Corp, and consists of 4 brunches located in Dalian and Yingkou in China, Arlington in WA, and Portland in OR.